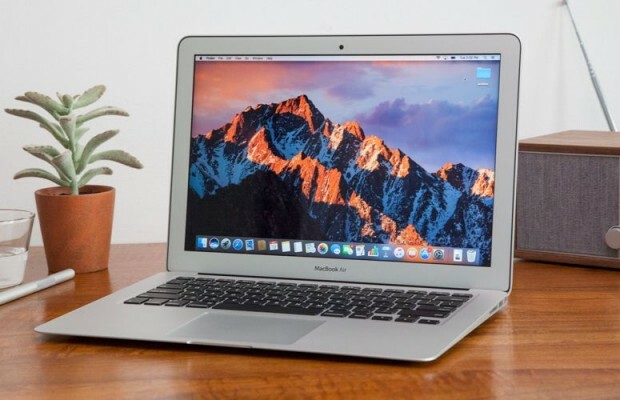 Apple’s MacBook Air has remained unchanged for over two years now, but recent speculations have sparked hopes of many of those waiting for an update. After noted Apple commentator Ming-Chi Kuo, Taiwan’s Digitimes Research has claimed that Apple is indeed working on a new model of MacBook – seemingly MacBook Air – which will feature a Retina Display. As per the report, LG will soon begin the production of 13.3-inch amorphous-Silicon (a-Si) LCD displays which will sport the same resolution as the OLED panel of 2017 MacBook Pro (2560x1600pixel). This is a big upgrade from the current 1440x900p display used in the MacBook Air. It is yet to be seen if Apple sells this upcoming laptop as MacBook Air or introduces a new range. This is primarily because there is no additional information about the form factor of the upcoming laptop. Despite lack of details, we really hope that Apple replaces the MacBook air’s chiclet keyboard with the butterfly-switch keyboard on the latest MacBooks. DigiTimes Research also notes that the production will be divided between Quanta and Foxconn in a 70:30 ratio. Jim Hsiao, senior analyst, at DigiTimes also expects four million units to be sold throughout 2018, although Apple aims higher at six million. While LG will begin supplying display panels by April, the mass production for the MacBooks will begin at the end of May as the launch is pegged for June. In addition, a separate patent filing hints at Macbooks finally getting crumb-free and spill-proof keyboards for longer durability. Apple plans to use multiple layers of structures keep contaminants away from the switches and internals. This keyboard, if it indeed is featured in the new Macbooks, would use a combination of gaskets, brushes, wipers, and flaps to seal the deck and stop small crumbs and particles from entering the keyboard structure. DigiTimes’ Hsiao said that the base variant of the MacBook will be priced at $999 while another model with 256GB storage will be priced at $1,199. This is in line with the predictions made by KGI’s Kuo who recently shook Apple’s fanbase with the joy of expectations about an affordable and refreshed MacBook Air. Besides the new MacBook, Kuo expects Apple to launch next-gen AirPods with noise-cancellation later in the year. Meanwhile, DigiTimes hopes that the company will also release an affordable 9.7-inch iPad and update the iPad Pro with richer specs. While the 9.7-inch iPad is expected to come in the second quarter of 2018, the iPad Pro will come later in the second half of the year.